The concert which is tagged “Bloody And Beautiful” is said to be worship filled concert with a serene atmosphere which will leave you in Awe!! THE CLOUD 9 EXPERIENCE is designed to make people reflect deeply and experience the TRUE meaning of worship and feelings of how great GOD is. Set for the “Easter period”, THE CLOUD 9 EXPERIENCE allows for a deep reflection on the DEATH AND RESSURECTION of Jesus Christ and the true meaning of Easter. We worship God and give Him all glory for sending his son to save mankind. 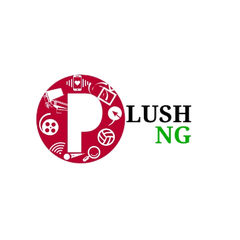 THE CLOUD 9 EXPERIENCE is centered on helping worshippers attain the highest point of their worship and also experience the great move of God. 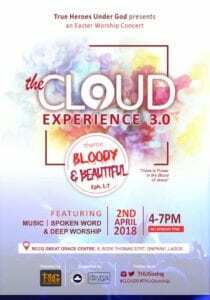 With ministrations from Anointed music ministers that leads worshippers expressly into the presence of God, at THE CLOUD 9 EXPERIENCE, we reach the PEAK of our worship. When is it going to hold, and what time? The concert is scheduled to hold on the 2nd Day of April and the time is set for 4pm. So save the date because you don’t want to miss it. How do I support this concert? So what are you waiting for? Go get your heart prepared because you will experience God like never before in your life as you will worship him to the highest peak.